I have been experiencing issues regarding pick of my car (Move Automatic) from the last 5-6 days. Its like dead no matter how hard u throttle..instead it shifts to lower gear when i press hard the throttle. Oil Changed. Oil filter & Air filter changed. Now, i am hell confused as i dont want to waste money on any unnecessary portion. Kindly guide me about the problem and its solution. Did you go for Gear oil change? If all is well than only problem is with transmission. You have not mentioned the model of ur car so I will post down both the problems. If its simple automatic transmission than u need to have it checked by Good mechanic, Torque convertor problem maybe. Else if it's cvt transmission than there can be a good dent on pocket only solution is to have it purchased kabuli. But before doing that have your car checked by a good scanner maybe it's registering some codes. does your engine rpm redline at full throttle shifts? 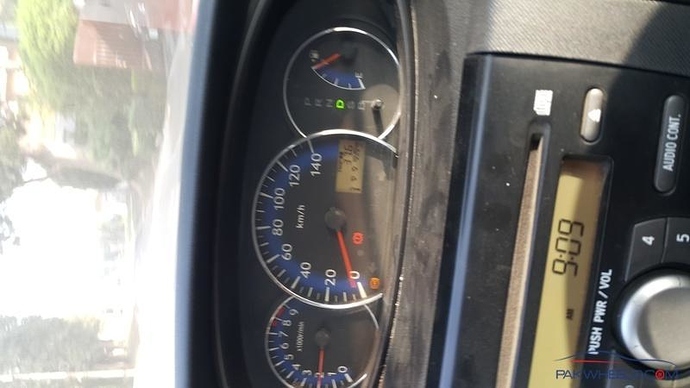 It doesnt have a rpm.....pick is too slow and sound of throttle is relatively larger than before..
any good mechanic for this car?? in model town or near about. location plz islamabad or lahore? connect a live tool to see the rpm and retest. Does it kickdown as it should? Thank GOD.. my issue resolved. got checked my car at KIWICK defence gate.. They checked the manifold ,it was choked..it got cleaned and serviced and the car is back to normal..
i have Move 2010 model . and i cant find whats the issue , while driving speed decreases and all lights on meter starts blinking.